This is an article published in our April/May 2018 Issue. The Republic of Singapore Air Force operates three Conformal Airborne Early Warning (CAEW) Gulfstream 550s fitted with the IAI Elta EL/W-2085 sensor system. They have boosted Singapore’s AEW capabilities considerably since being put into operation in 2010. The capability was declared fully operational in April 2012. Sophisticated systems are new needed to track increasingly more diverse threats, like ballistic missiles, rigid inflatable boats (RIBs) and slow moving aircraft. The integration of the Airborne Electronically Scanned Array (AESA) radar is going some way to resolving that. The general availability of gallium nitride, once known among physicists as the material of the future, has been the biggest factor. For decades it wasn’t possible to manufacture and process this highly costly material. 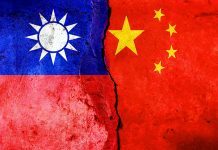 But that’s all changed with a good supply chain, as both Saab and China AVIC representatives confirmed to the author; the cost has also tumbled. Galium nitride has much more power, allowing the radar to look further. Being robust provides a better power efficiency and also offers good electronic warfare capabilities including wide-band jammers. The AESA radar, the generation of clear signals, increased digitisation and better software has led to a more comprehensively recognisable air picture (RAP) in most modern of AEW&C aircraft. The result can allow mission commanders in the rear of the aircraft to make real-time decisions to thwart possible attacks. The RAP can be data-linked to ground stations for commanders and eventually political leaders to make informed decisions in the face of confrontation or conflict. Most of the new generation fighters, ground based air defences and naval vessels can also take on the RAP, providing them increased situational awareness and the ability to engage threats if sanctioned. It’s the need to monitor all the threats, not just in the air domain, but land and sea which makes the AEW&C aircraft such a valued platform. The further a platform can look, the more warning it can give. Today, ballistic missiles are the latest danger as has been witnessed in North Korea. 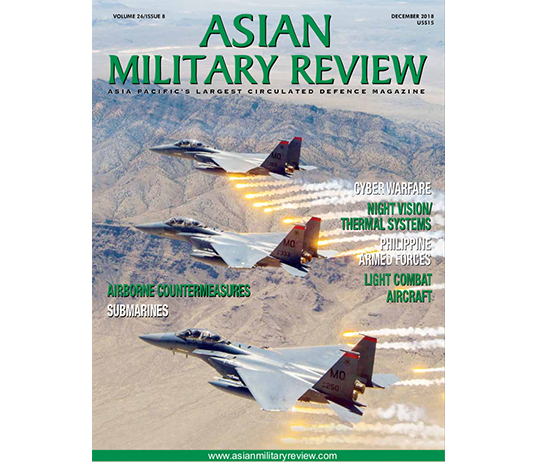 A vigilant watch on China and Russia is also needed, so it is not surprising that Asian countries, particularly Japan and South Korea are keen to increase their capabilities. Clearly there is a need to modernise existing AWACS/AEW&C systems in Asia against new and existing threats that include terrorism, piracy and smuggling. While the US are great allies of South Korea and Japan and rotate AWACS/AEW&C assets in the region, both allied air forces now have their own fleets which are interoperable according to the US. Over the past two years, North Korea has firing up to 20 inter-continental ballistic missiles which flew either close to Japan or over it. Its AEW&C aircraft would have been on high-alert, but the shortcoming in their existing systems is a problem. The Japanese Air Self Defence Force (JASDF) operates four Boeing E-767s which entered service in May 2010. They are operated by the Hiko Keikai Kanshitai (AEW Squadron) as part of the Keikai Kukutai (AEW Group) at Hamamatsu, in southern Japan. The aircraft’s main sensor is the Northrop Grumman APY-2 radar, but have been continuously upgraded throughout their 20-year operational history in a bid to overcome obsolescence. In late 2015, Boeing was awarded a $25.6 million to upgrade the aircraft’s mission computers, electronic support measures, next generation interrogator friend or foe (IFF) transponder, automatic identification system and data link upgrades. This will allow Japan’s AWACS fleet to be more compatible with the USAF’s AWACS baseline fleet, and provide far greater interoperability. In February, this year the Pentagon announced that Boeing had been awarded a $60.9m contract to further upgrade the aircraft’s mission systems, with the work being carried out in San Antonio, Texas. The JASDF also operates 13 Northrop Grumman E-2C Hawkeyes, serving the Misawa based Hiko Keikai Kanshitai (Airborne Warning and Control Squadron) to provide surveillance of air and naval activity in the Pacific region. In June 2015, the US State Department approved the supply of four E-2D Hawkeyes under a $1.7 billion multi-year deal. One was ordered in November 2015 (for $151m) which made its first flight on 9 October last year. Jane Bishop, vice president, E-2D Advanced Hawkeye programmes said at the time: “The successful first flight of Japan’s E-2D Advanced Hawkeye is a significant milestone in delivering advanced airborne early warning and surveillance capabilities to the country. The augmentation of the JASDF’s current Hawkeye fleet with the E-2D AHE further strengthens its ability to meet Japan’s evolving security and intelligence needs.” Another was ordered in July 2016 ($163m) and both should be operational by March 2018. The E-2s provide aerial coverage off of Japan’s 29,800 km (18,500 miles) coastline, while the E-767s are used as strategic assets. Across the Sea of Japan, South Korea continues to face up to its unpredictable northern neighbour. The Republic of Korea Air Force (ROKAF) operates four Boeing 737AEW&C Peace Eyes delivered by October, 2012. 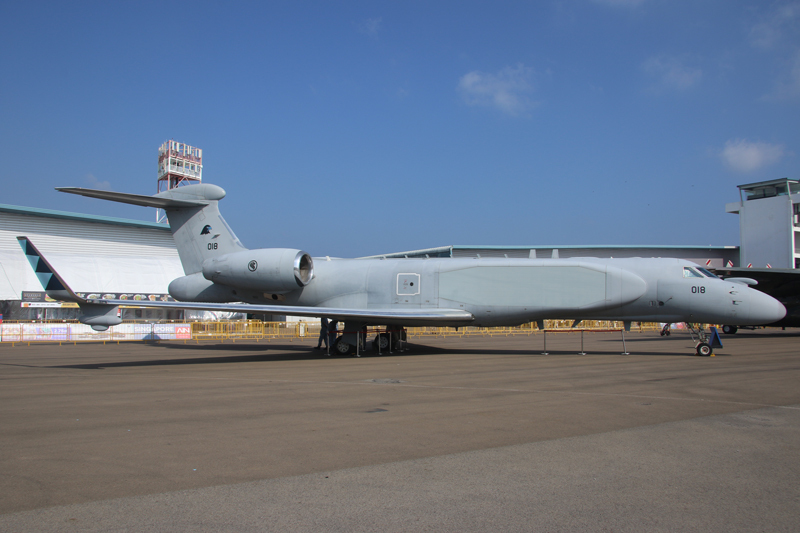 Korea Aerospace Industries (KAI) at Sacheon modified and supported testing of three out of four jets. All of them operate with the AEW&C squadron at Gimhae Air Base. The Northrop Grumman Multirole Electronically Scanned Array (MESA) radar is the centre-piece of the aircraft’s tactical systems. It provides a wide area surveillance, claimed to be greater than 340,000 square miles at rates exceeding 30,000 square miles per second for a typical 10-second scan rate. It means most of North Korea can be continuously monitored very quickly. RoKAF battle space managers monitor multiple sectors with extended range and update rates while maintaining a 360-degree background surveillance picture. On board there are ten state-of-the-art mission crew consoles that can track airborne and maritime targets simultaneously. Operating at 40,000 feet (12,192m) the Peace Eye can track low-flying missiles and aircraft over various terrains. It is unlikely anything can fly in North Korea without the South knowing about it. 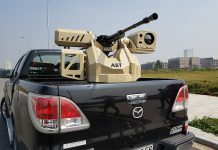 In the wake of the North’s continued aggressive stance, South Korea has been actively looking for new defence systems. During the Singapore Air Show, South Korean officials showed interest in Israel Aerospace Industries (IAI) Gulfstream 550 MARS2, the Multi Mission Airborne Reconnaissance System. IAI describe it as being able to provide persistent stand-off ground, maritime and air surveillance coverage. 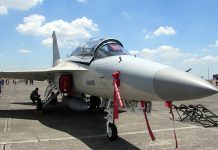 It is equipped with the ELI-3150 system, covering an Elta Active Electronically Scanned Array (AESA) radar with a 360-degree coverage but the company would not give further details. 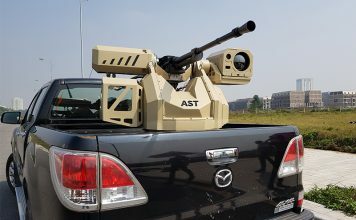 The system includes a ‘proven’ SIGINT (Signals Intelligence) system, as well as an Electro Optical FLIR and synthetic aperture radar (SAR)/ground moving target indicator (GMTI) capabilities. 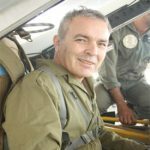 IAI claims the launch customer will receive the aircraft in 2021. 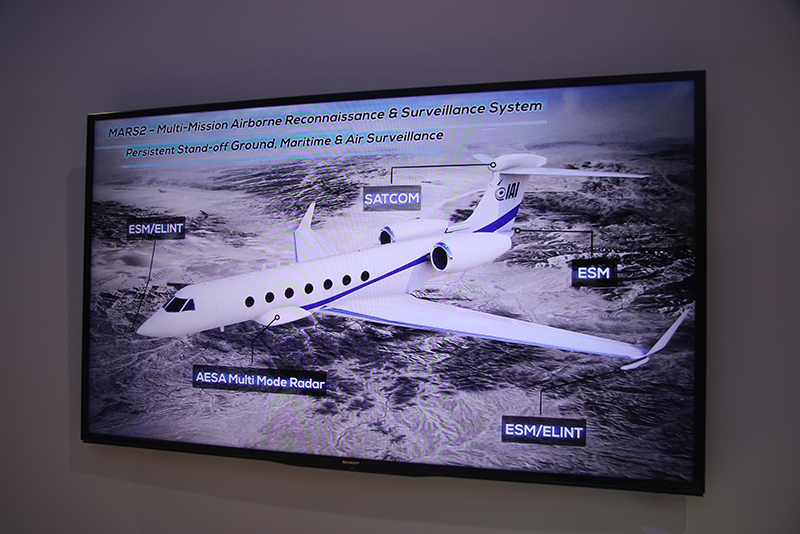 At Singapore Air Show in February, IAI was marketing its Gulfstream Multi Mission Airborne Reconnaissance & Surveillance System (MARS 2). A modern day J-STARS according to the company. It has a launch customer, possibly South Korea, which will take delivery of the aircraft in 2021. While South Korea and Japan’s main concern is North Korea, further south most countries are focusing their attention on the Chinese threat. The disputed islands including the Spratleys and Paracel in the South China Seas, an area of economic potential including combustible ice, a natural gas hydrate that could yield significant wealth, needs close monitoring. Although of concern to many nations, the monitoring is largely carried out by the US with its fleet of E-3G AWACS, Boeing P-8A Poseidons and RC-135 Rivet Joint aircraft. The huge expanse of territory extends hundreds of miles south from China’s Hainan Island to equatorial waters off the coast of Borneo, overlapping areas claimed by Brunei, Malaysia and Taiwan. Vietnam and the Philippines reject China’s map and have pushed forward oil and gas exploration projects in blocks that exist within areas claimed by China. Malaysia’s military has repeatedly asked for funding for up to four AEW aircraft, but the government has so been unable to meet such requests due to budget constraints. Indonesia too has an urgent requirement for this capability, but must continue to rely upon three obsolete Boeing 737 Surveillers. They are equipped with an ageing AN/APS-135 (V) high resolution Side Looking Airborne Modular Multi Mission Radar (SLAMMR) but without datalink capability. There is unlikely to be any funding for a new AEW system until 2020 at the earliest. However, the Indonesian Air Force (Tentara Nasional Indonesia-Angkatan Udara, TNI–AU) is known to be looking at possible replacements. Boeing’s Challenger Maritime Surveillance Aircraft (MSA) is known to have been shown to the military hierarchy, while the Saab GlobalEye is also a candidate. The Royal Thai Air Force flies two Saab 340 Erieye AEW&C aircraft, operated by Wing 7 at Surat Thani, not far from the border with Malaysia. They play a significant part in Thailand’s new air defence system. With the Malacca Straits and South China Seas being a hotbed of piracy, and tensions between Malaysia and Indonesia ebbing and flowing on a regular basis, the Republic of Singapore Air Force (RSAF) operates four Conformal Airborne Early Warning (CAEW) configured Gulfstream 550s of 111 Squadron which were declared fully operational on 13 April, 2012 at Tengah Air Base. The CAEW with its EL/W-2085 sensor suite, when operating at around 41,000ft, can see up to 250 miles (400kms). Taiwan’s Republic of China Air Force (RoCAF) operates six E-2K Hawkeyes, which are configured to the Hawkeye 2000 standard with new radars and software. Two are brand new aircraft operating alongside four E-2Ts delivered in September 1995 that were upgraded in a $250m deal completed in March 2013. They play a crucial surveillance role working in tandem with a network of land-based early warning radars. The operators on board provide a wide area surveillance of the Taiwan Straits, East and South China Seas. China’s CETC (China Electronics Technology Corporation) is tasked with much of the radar development in China. The company prides itself on merging early warning detection, surveillance, reconnaissance – as well as command and control – into airborne integrated electronic information systems. Its philosophy is to ‘find, fix, track, target, engage and assess’ by establishing an air-to-air/air-to-ground combat system of systems to improve efficiency of the information extracted. At Zhuhai in 2016, the company showed three 1:20 scale AEW models – two K/JE-03 aircraft and a KJ-500/ZDK-06. 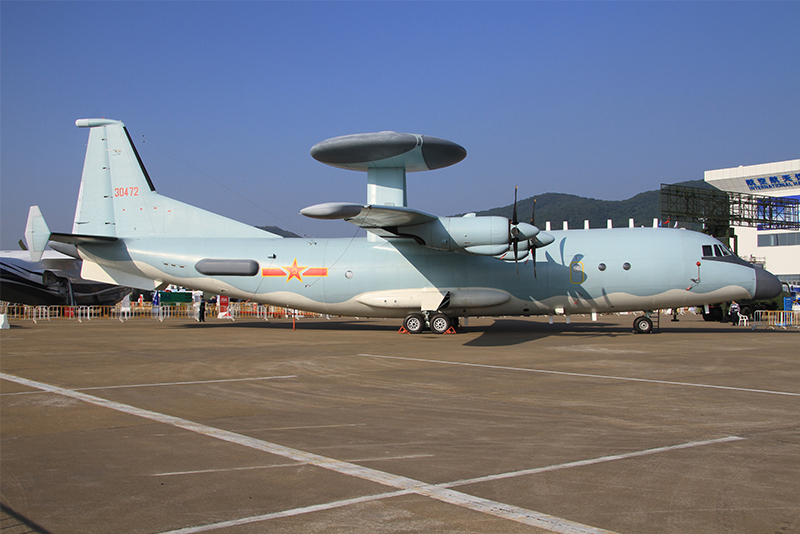 The former is based on a Shaanxi Y-9E with a balanced beam radar, while the company’s latest offering, the KJ-500/ZDK-06 is a Shaanxi Y-9E with a rotodome on top, housing three JY-06 AESA radars. However, with three radars, each taking up a third of the rotodome, it doesn’t need to rotate. At the 2016 Zhuhai Show ZETC displayed a KJ-500/ZDK-06 with a rotodome on top, serving the Peoples Liberation Air Force. The company also presented two models at their stand representing a K/JE-03 with the balanced beam radar, but presented in different colour schemes. For the AEW&C role, CETC ran a video at the event showing how capability improvements in the ZDK-06 have provided a more flexible means of attack and defence. Working with fighters, UAVs, navy ships and command centres, it can data-link the information it’s detecting over long ranges and vice-versa and can downlink the aerial picture as well as uplink data from ground-based air defences. Pakistan already operates four of the earlier ZDK-03 variants, which have been in service since 2011 alongside three Saab 2000 Erieyes. The latter will be boosted by a similar number of new aircraft this year. One of the latest systems on the block is Saab’s new GlobalEye swing role surveillance system (SRSS). The Swedish aerospace company see a big market in the region. Indonesia, Malaysia and Singapore are all on their radar. 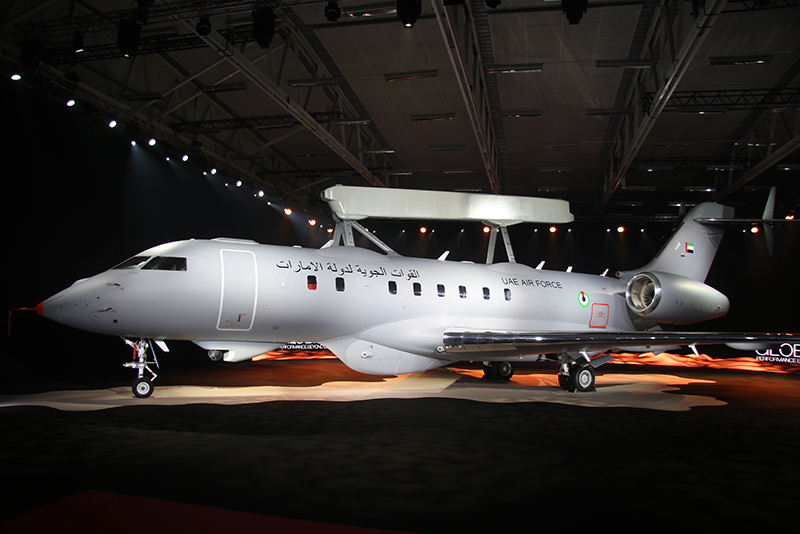 The company’s latest AEW&C system was rolled out at Linkoping, Sweden, on 23 February, off the back of a combined $1.52bn order from the United Arab Emirates (UAE) for three aircraft. The GlobalEye combines the new Erieye ER (extra range) active electronically scanned array (AESA) radar, a Leonardo Seaspray radar and FLIR Systems Star Safire 380HD EO/IR system inside a Bombardier airframe. The GlobalEye can work in the air, sea and land domain because of the three main sensors. Saab’s GlobalEye Airborne Early Warning aircraft, based on a Bombardier Global 6000 was rolled out at the company’s Linkoping facility on February 23. It sees a big market for the jet in Asia. According to Saab the new aircraft can fly up to 30,000 feet ((,144m) for 11 hours, which claims it has a 70 percent improved detection range over the previous generation model, to more than 300 miles (450km). The EL/W-2085 AESA system provides a full 360-degree coverage, with its narrower field S-band antennas on the fore and aft of the aircraft, with wider-scoping L-band antennas mounted on the sides of the G550 CAEW fuselage. It has a ten-hour endurance and a 5,500 miles (7,000km) range.